All of T-Mobile's current Simple Choice post-paid plans have tethering included, but there are still some older plans that don't. Prepaid has not traditionally included even the option of adding hotspot. These changes bring hotspot support (presumably equal to the existing data cap) to prepaid and all other plans that don't currently have it. For unlimited (on-device data) subscribers, the cap on mobile hotspot is being boosted by 2GB as well. So if you had 5GB of hotspot on your unlimited plan before, come Friday it'll be 7GB. 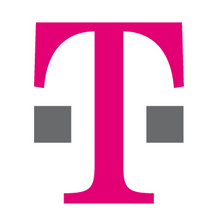 T-Mobile will also apparently stop using hard caps for tethering data. Whereas the network currently cuts you off if you go over on hotspot data, starting June 12th you'll just be slowed to 128Kbps. That makes tethering data much more like regular on-device data. This is still unofficial, but the evidence looks solid.